Many people’s New Year’s resolutions involve health-related goals – primarily trying to eat better. 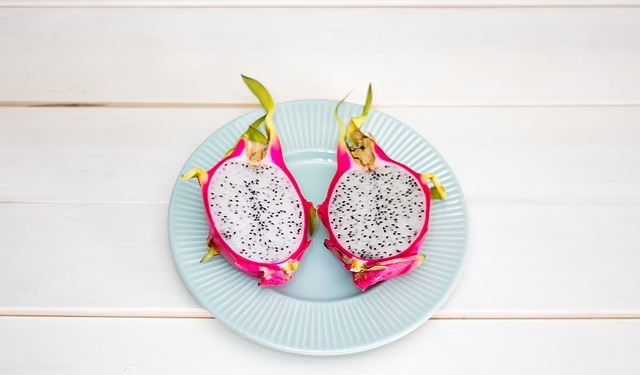 Clean eating can feel like an overwhelming trend to understand, so we’ve compiled some great tips on what clean eating looks like and our top 5 ways to help you stay on track. Clean eating, to most people, simply means choosing foods in their purest forms. It includes ditching processed foods – items that contain tons of preservatives, excess sodium, artificial dyes and flavorings, and of course, refined sugar. 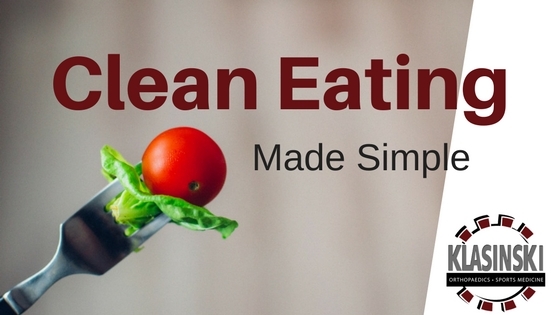 Check out this simple guide to clean eating to learn more. What does eating clean look like? Clean eating involves less fast food and more grocery shopping and cooking your own delicious meals. It involves some thought, preparation, and a willingness to experiment! Creating clean meals can be really fun with the aid of Pinterest and healthy eating blogs for recipes and tips. Using whole foods involves a bit more chopping and prepping, but it doesn’t require any fancy skills. You may even discover a new favorite food you don’t eat much or have never tried before, like spaghetti squash, avocado, or sweet potato! Eating clean can expand your food palette as well as your wallet since you won’t be spending so much on fast food or restaurants. Clean eating can be tough. How do I stay on track? Plan ahead. Find some recipes you want to try, compile your grocery list, and lay out the meal plan for the week. (Helpful Hint: if an item is sold in a larger quantity than needed for a recipe, make sure to plan another meal with the rest of it that same week so it doesn’t go to waste.) If you have kids, try prepping what you can after they’re in bed so the next day’s meal is faster and easier to put together. Better yet, if your kids are old enough, have them help you cook! Can’t pronounce it? Stay away. Many food items these days have a list of ingredients full of strange sounding words. If you read the label on something in the grocery store and you can’t pronounce the ingredients, it’s usually best to stay away. Stick to the outside rim of the grocery store. The best rule of thumb we’ve found is to browse the outside perimeter of a market. You’ll find your “real” foods here (such as whole vegetables and fruits as well as raw meats) because they require electricity to run refrigeration or water to run sprinklers. Avoiding most items on the shelves in the middle aisles of the store will put you on the road to clean eating in no time! Get uncomfortable. Try foods that are not in your comfort zone. Check out the array of colorful fruits and vegetables in your market, and taste the rainbow! If you’re unsure of how to use zucchini, hop online and search for zucchini recipes. New to avocado? Use it in a salad, as a spread, or to make a sauce creamier. New doesn’t have to mean scary. Getting over the hurdle of trying something will open so many doors! Don’t beat yourself up. Maybe you followed a recipe and it was a total flop. Maybe you planned an entire week of meals and then the weekend got all messed up with social gatherings or traveling out of town and you didn’t eat as “clean.” There’s no failure here, this isn’t a diet! Simply try to minimize processed or refined foods as much as possible and it’ll get easier and easier with each meal you make. 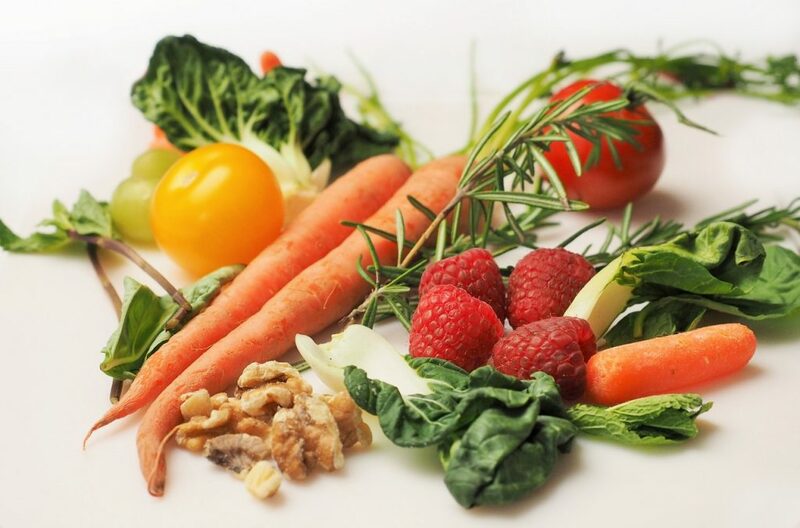 At Klasinski Clinic, health is our #1 goal, and we know the commitment and determination it takes to remain healthy.Clean eating will require less and less thought as you develop a rotation of meals your family loves and a grocery list of staple items you always have in the house. From there, you can add in new recipes occasionally. One meal at a time is all it takes to start to shift a lifetime of eating.